Itay’s DOC system doesn’t always work as originally planned, most notably evidenced by the rise of Super Tuscans, which long had to be labeled as simple table wine in spite of their high quality. But Tuscany isn’t the only part of Italy which had to rethink its classification system. Sine 1992, a host of regions have adopted the IGT category (Indicazione Geografica Tipica) in an attempt to deal with the embarrassing number of Vino da Tavola wines selling for much higher prices than the supposedly superior DOC bottlings. Puglia, the heel of Italy’s boot, was one such region to buy into the IGT system, and the Salento IGT encompasses the entire peninsula. This more flexible classification system, along with increased foreign demand for wine in the 1990s, led to significant improvements in Pugliese viticulture, though even today, less than a quarter of Puglia’s wine production is sold by the bottle, according to The Oxford Companion to Wine. The rest is sold in bulk, making its way into vermouth, cheap blended wine and brandy. 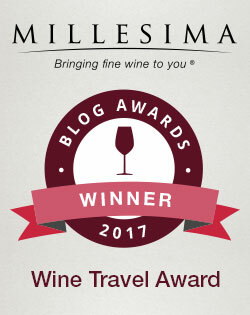 Nevertheless, the reputation of the Pugliese wine that does make it into bottles is steadily improving, as innovative winemakers focus on lower yields and high-quality grape varieties, both local and international. The large Cantele Winery is one such venture. The family has been in the wine business since just after World War II, but it wasn’t until the 1990s that the Canteles started buying their own vineyards and growing their own grapes. I also got notes of pear in the aroma (variety uncertain), along with some heady honeysuckle. It tasted crisp and juicy, with a bit of honey on the finish along with some gingery spice. Lively and light on its feet, I suspect most people would never guess this was a Chardonnay. It’s a perfect choice for a hot summer afternoon. According to Wine Searcher, it retails for an average of $12 — an excellent value. The second IGT wine we sampled was a rosé of Negroamaro, an ancient variety that is a specialty of Puglia. “Negroamaro” translates as either “black bitter” or “black black,” depending on whether you work with Italian or Latin and Greek. The second translation, albeit repetitious, seems most likely, since this variety originated in Greece, arriving in Italy with Greek colonists in the 6th or 7th century B.C., according to the Oxford Companion. I’d never tried a rosé made from Negroamaro, and so it was with some excitement I poured myself a glass of the 2011 Cantele Negroamaro Rosato. Straight out of the fridge, it didn’t have much of a bouquet — only when it warmed up a bit did I detect some red berries, chalk and a hint of something floral. On the palate, however, it offered plenty of sunny, strawberry fruit and some bracing minerals, reminiscent of pink aspirin. It felt sprightly throughout, and I liked the spicy lift at the end. Selling for just $10 or $11, according to Wine Searcher, it’s a fun and unique choice for a picnic or barbeque. The third wine in the sample was not an IGT — it conforms to the stricter regulations of Salice Salentino, a landlocked DOC right in the middle of the Salento peninsula. According to The Sotheby’s Wine Encyclopedia, the best wines in the Salice Salentino DOC are its Negroamaro-based reds, and the 2009 Cantele Salice Salentino Riserva certainly did not disappoint. This 100% Negroamaro had tight, powdery red-fruit aroma and ample fruit on the palate. I got a blast of cherries, and others in the group also tasted currants and raisins. Rich but bright, this full-bodied wine had well-balanced, rustic acids and some serious tannins on the finish. Binny’s sells this red beauty for $11, which is a steal. Since Cantele produces about two million bottles each year, according to its website, you have a fighting chance of finding one or more of its well-priced wines in your local shop. I’m certainly going to keep my eye out for them. And if any of you folks have sampled Cantele’s 100% Verdeca, let me know — I’m itching to give it a try. Rob, this is a really thoughtful, well written, and well researched piece. 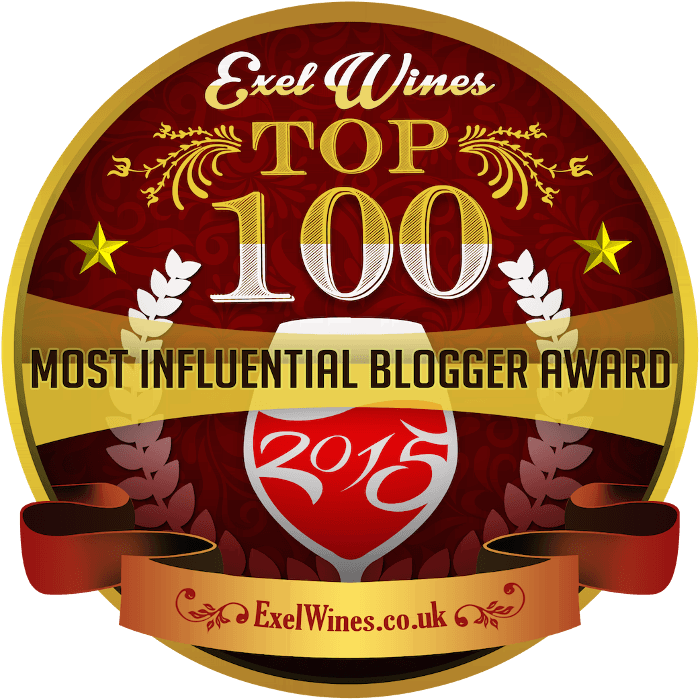 I really love how your blog can appeal to people who are new to fine wine but at the same time it’s enjoyable to read for someone like me who works in wine. Great post! 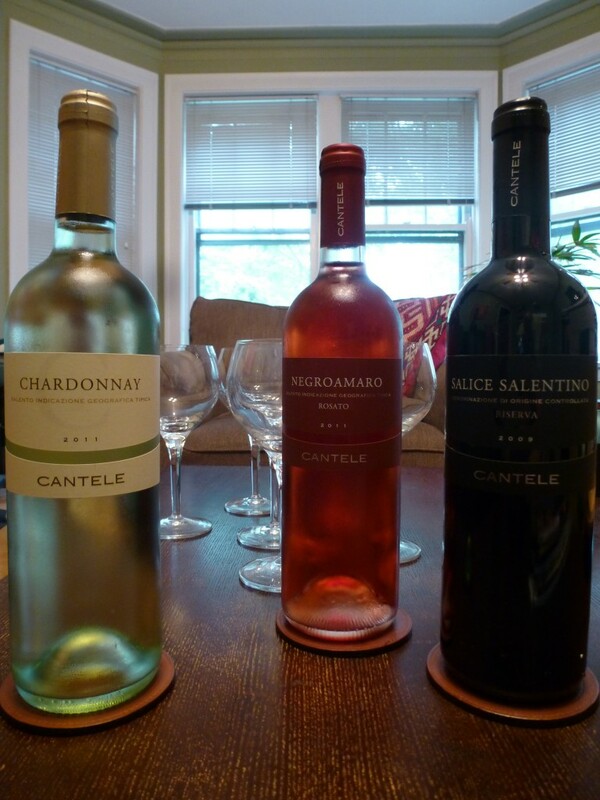 The rosé from Negroamaro and the Salice Salentino are my personals favorites by Cantele. Thank you very much, Jeremy! I really appreciate it. I agree – the rosé is definitely great this time of year, and for $11, I’ll be keeping my eye out for the Salice Salentino. That’s a great deal.